William Asprey approached us with a requirement for a retail brochure that reflected the exclusivity of the products within their Mayfair showroom. The brief was to echo the values both of tradition and innovation which are the hallmarks of William & Son's luxury goods business. Having experienced difficulties, both logistical and budgetary in the pastthey were looking for a communications company that could control the entire project from initial design concepts through photography, typesetting, layout, print to delivery, seamlessly and cost-effectively. 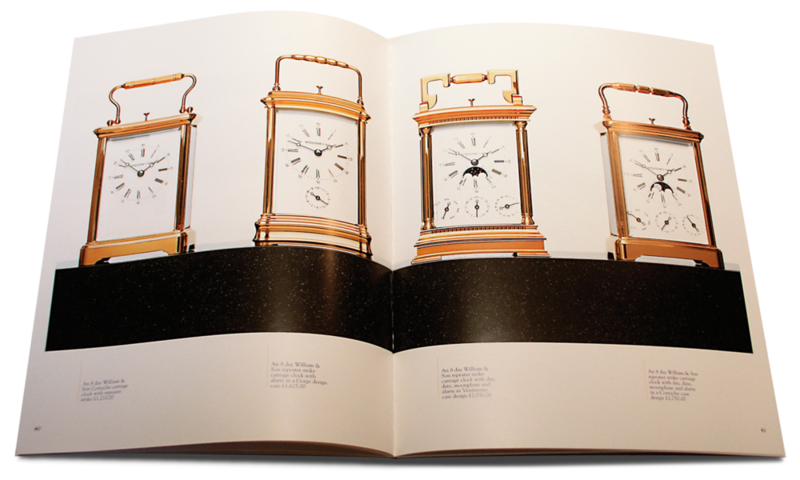 From select gifts to unique, bespoke items costing many hundreds of thousands of pounds, the brochure was aimed at an elite clientele for whom extreme quality was paramount. The project called for as much organisational and interpersonal skills as design flair. Since the launch of the brochure, William & Son have seen sufficient growth necessitating an expansion out of their current Mount Street location.